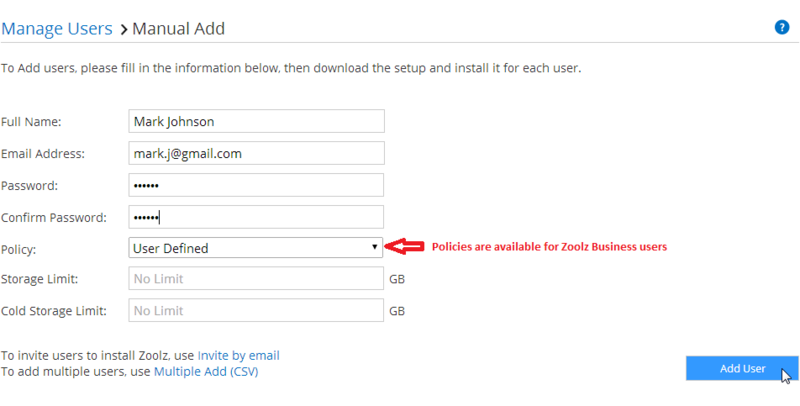 /BigMIND /Users Management /How can I manually add users to my Zoolz account? 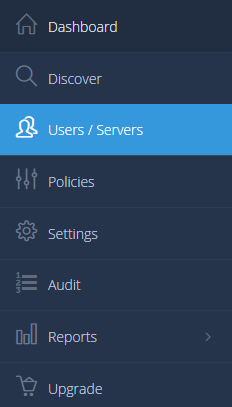 Click on the Manage Users link on the Dashboard tab, or refer to the Users/Servers tab. Click on the Add Users button, and select the Manual Add option. The Manual Add page will open. 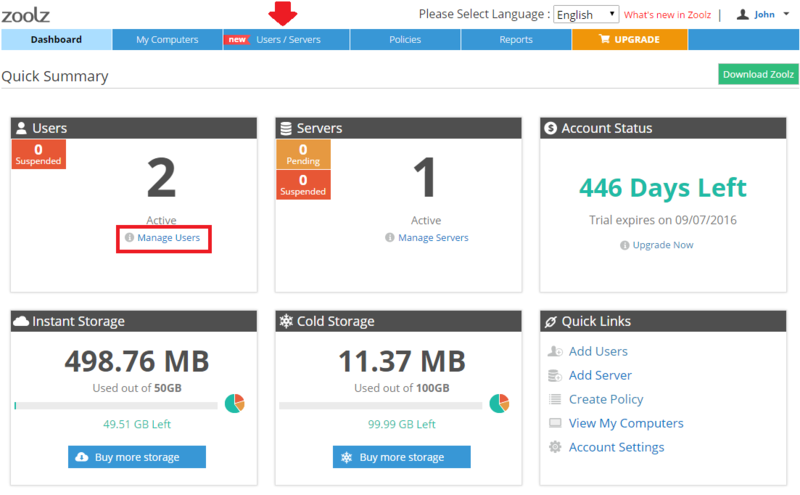 Fill in the information for the new user and click the Add User button. Refer to the Dashboard tab, click the Download Setup button, move the downloaded setup file to the machine of the added user, run it there and sign in with the email and the password you’ve assigned for him/her. 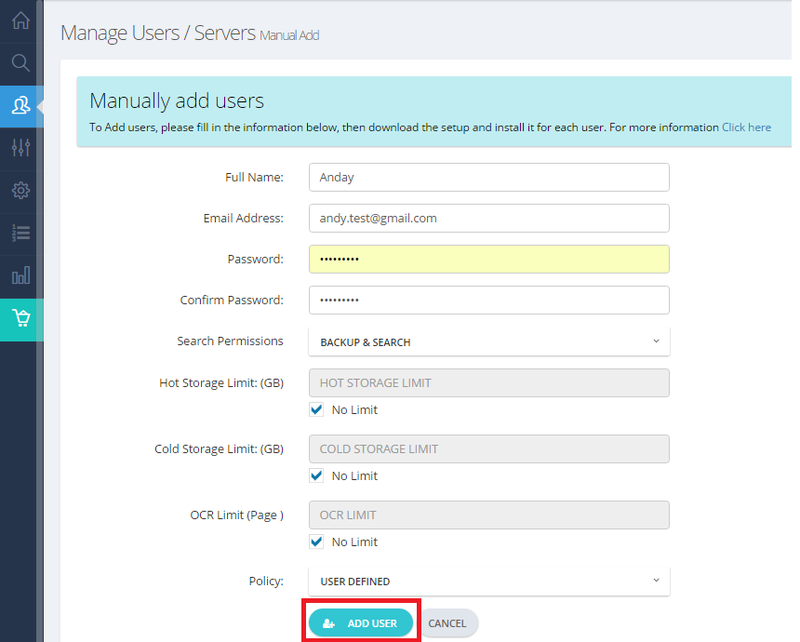 Click on the Manage Users link on the Dashboard tab or refer to the Users/Servers tab. 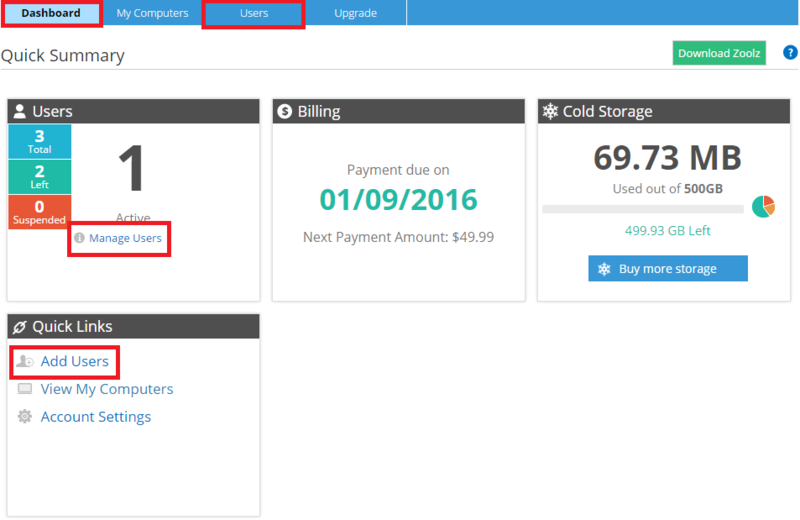 Refer to the Dashboard tab, click the Download Zoolz button, move the downloaded setup file to the machine of the added user, run it there and sign in with the email and the password you’ve assigned for him/her. 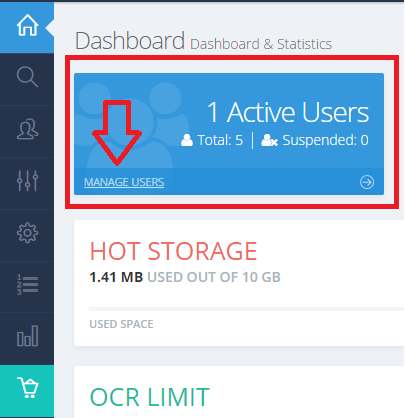 Click on the Manage Users link on the Dashboard tab or refer to the Users tab.